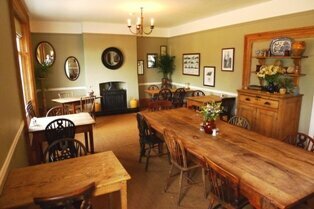 For a relaxing getaway from City life try a couple of nights relaxing in a country pub offering B&B. Ranging from comfortable and simple lodging to more stylish, boutique hotels, each Inn has its own unique atmosphere and character. Most will have a wealth of history and many will be also be the centre of village life - so whatever you're looking for you'll find in Suffolk! Situated near the coast between Southwold and Aldeburgh, The Crown is a luxury coaching Inn offering a wealth of character and charm. There are 34 stylish bedrooms to choose from and in the bar you'll find a wide range of local ales and a sophisticated AA 2 rosette menu in the restaurant. Dog friendly and family rooms also available. Orford is an attractive small town on the River Alde, just south of Aldeburgh and Snape, well known for its exceptional food offerings which range from Pump St Bakery to Butley Oysterage, with several excellent restaurants in between. 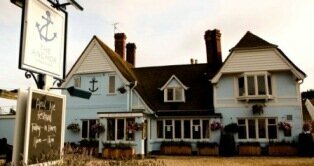 The Kings Head Inn offers hearty home cooked, locally sourced pub grub in a friendly & unpretentious bar-restaurant. No need to book (except for their roasts on Sundays), work up an appetite for their generous portions with a stroll around Orford, then head to the Kings Head for full restoration! 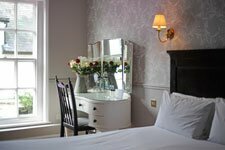 There are several comfortable rooms above the pub so make a weekend of it at The Kings Head Inn, Orford. The Crown sits in the middle of the market square in this delightful Suffolk town with its magnificent English Heritage Castle. The Crown has been taken over by new owners who've refurbished this Grade II listed former coaching Inn with stylish and contemporary decor. Here you'll find beautiful local artwork, sumptuous fabrics and antique furniture combined with a warm and friendly welcome, local beers and great food - what more could you want? Find out more about The Crown Framlingham here and book your Escape now! The Bell is in the centre of Clare and was originally a 16th Century Coaching Inn that has retained many traditional features. However, the 16 bedrooms all offer modern facilities expected from a 4 star Hotel. There are several eating options here, including the formal 'Tudor' restaurant. 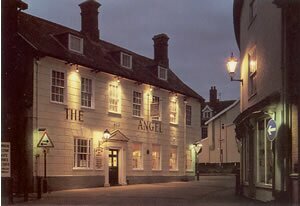 Well located in the heart of this pretty town this attractive and friendly Inn is a great choice for a break in Suffolk. For full details and booking see The Bell Hotel. 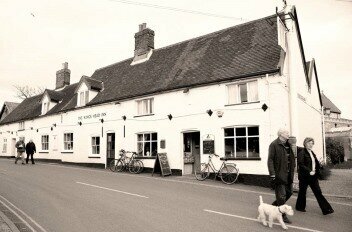 What do you think of our Suffolk Pubs & Inns? 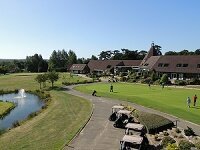 Share your thoughts and reviews by contacting suffolkguides.admin@suffolktouristguide.com.